In this Zen Tail, everyone has an ice cream except Bruno and he can't get ice cream off his mind. This book shows how focused attention and caring for others brings freedom, happiness and even ice cream. 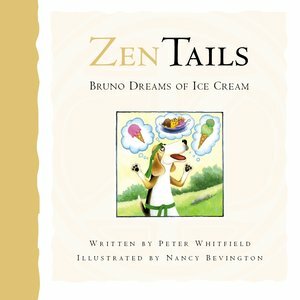 Zen Tails are classical philosophical tales adapted and beautifully illustrated for children. Each book contains a moral as well as the original Zen Tale. In this Zen Tail, everyone has an ice cream except Bruno and he can't get ice cream off his mind. This book shows how focused attention and caring for others brings freedom, happiness and even ice cream. Zen Tails are classical philosophical tales adapted and beautifully illustrated for children. Each book contains a moral as well as the original Zen Tale.